We’ve said it before and we’ll say it again, family matters to us Italians. Villa Romana is a family friendly, family run restaurant in the heart of the city centre. 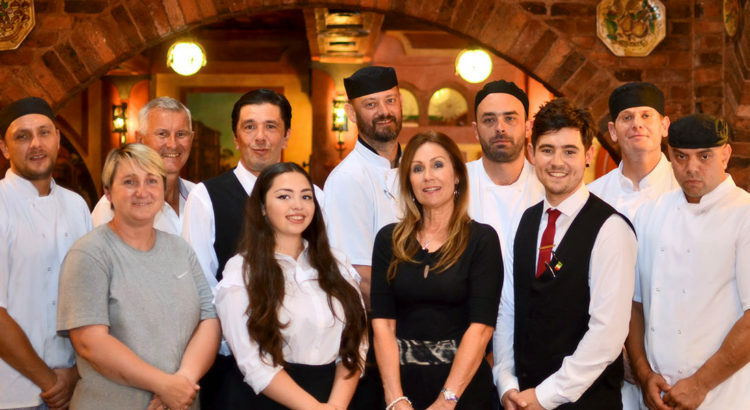 Our focus is on providing a warm welcome and great quality food, here at one of the longest established of Liverpool’s Italian restaurants. Being a family run restaurant, our team takes a pride in the work that they do here. We are independent, so every decision we make about how to do things is based on a desire to offer the very best that we can. From freshly baked, authentic Neapolitan pizzas and home made tiramisu, to an atmosphere of cosy warmth and comfort, Villa Romana is designed and delivered to welcome. As a family friendly, family run restaurant, we believe that your entire family should be equally well catered for. We don’t have a separate children’s menu, or expect your little ones to eat boring food while you feast. Instead, we offer the options of a small portion on many of our main meals and we sell dishes perfect for sharing, such as our delicious pizzas and antipasti. We also pride ourselves on being one of the most affordable of Liverpool’s Itailan restaurants. Every Wednesday, for example, you are offered the option to dine and receive 50% off the price of ALL pizza and pasta dishes. Our hope is that this makes it more easy and affordable to treat yourselves and bring your family to visit ours! In a world where chain stores and franchise eateries are popping up all over the place, we often hear how refreshing people find it to be able to dine in a unique, independent, family run restaurant. We believe that the independent businesses of the city help to keep the quirky, warm, loving identity of this city alive and well. So if you are looking for somewhere to experience the legacy of one of the largest Italian populations in the UK, please join us in our Liverpool Italian restaurant soon. We look forward to welcoming you.